You can check your air filter by pulling it out and holding it against a strong light. If you can’t see the light, it’s time to replace it, replacing it will improve your vehicles performance and improve your MPG. To make the most of each gallon, try to park your vehicle in the shade or a covered garage whenever possible. The hot sun causes gasoline in your tank to evaporate quicker. 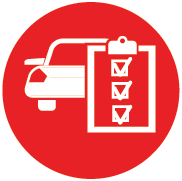 Following your vehicles gasoline grade recommendations will improve your MPG by 1% to 2'%. We all love our cars and work hard to take care of them, what most people don’t realize however is that your tires also take care of your vehicle. Return the favor and care for your tires properly. Tire rotation should be performed every 7,000 miles to increase tire tread life. When rotating your tires, it is important to do tire alignment to avoid uneven tread wear. Use a pressure gauge and test your tire pressure at least once a month. Different vehicles have different pressure recommendations, it is therefore important to check your manual or your tire sidewall. Take a penny and place it into the grooves Lincolns head in. If any of the portion of his head is covered, you treads are still good. It you can see Abe’s head it is time to replace your tire. Most of us know to check our vehicles oil monthly, and get an oil change as recommended by make manual, but did you know that your vehicle has many fluids that need maintenance? 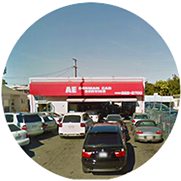 When you get your oil change make sure to have you wiper fluid, brake fluid, power-steering fluid and automatic transmission fluid checked. Clear debris from your radiator to prevent overheating of your vehicle. You can also check your battery cables are connected and properly and have no corrosion to extend the life of your battery. Flush the cooling system and change coolant once a year. Use a half and half mixture of water and coolant to prevent future corrosion and build-up in the cooling system of your vehicle. With a cloth, scrub your headlights with whitening toothpaste. Rinse with water and see the difference. If you have a tight parking spot at home and have and often bang your door on the wall, bolt or nail a pool noodle that you cut in half onto the wall. This is a cheap and effective way to keep your doors scratch free. You may fix minor dents on your vehicle with a toilet plunger.